The processes, structures and people governing an organisation have a fundamental impact on its success. Effective corporate governance is not just a matter of compliance, it also plays a vital role in driving organisational performance. 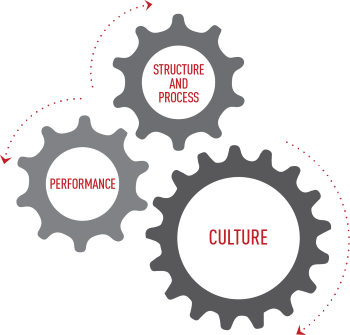 There is no universal governance framework that will work for every organisation and that is why the TMS approach to Governance is both tailored and flexible. We regularly consult to and have a strong appreciation of the context and requirements of government, not-for-profit and private sector entities. We will work with you to optimise your governance in light of your size, structure, sector and operating environment. We have a strong focus on cultural aspects of governance – boards and leadership teams need to be cohesive, able to harness a diversity of views, and have good group decision making processes. TMS has the expertise to support boards to develop as high performing teams, strengthening the value they deliver through their governance. To find out how TMS can help you assess and improve the performance of your board, contact us today on 07 3003 1473 or email solutions@tmsconsulting.com.au.